Welcome to my home – Colorado. My hippy friend out on a rock being what a hippy is best – free! 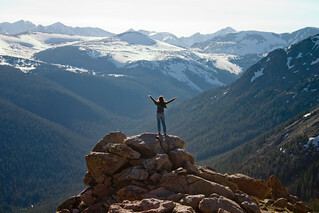 Taken on top of Trail Ridge Pass in Rocky Mountain National Park.